So remember those excellent Christmas cookies I made a while back? The traditional Dutch ones that I made from-scratch and gluten-free and that tasted way better than the ones from the import store because they were fresh and chewy and bursting with flavours beyond your wildest cookie dreams? I have figured out how to incarnate this taste in the form of PANCAKES. .
Now, I eat a lot of pancakes, because for me they’re the easiest carb-y gluten-free baking to do, and sometimes a girl just needs to munch on something vaguely bready. So I experiment every few months or so with new tastes or toppings, and I hit the jackpot with this one. 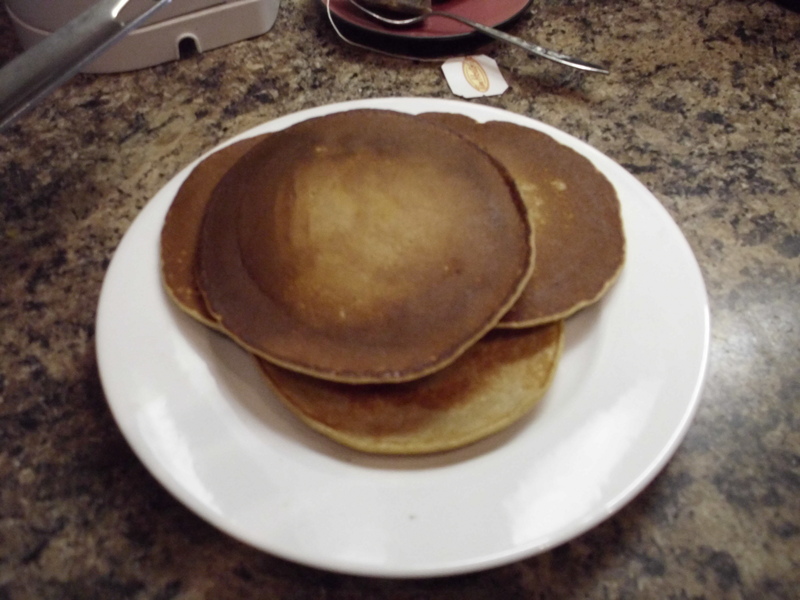 Now, this can modify any plain-Jane pancake mix you have kicking around, so just make whatever basic gluten-free pancake is easiest for you to make… and then add these. Recipe for success! What you’re going to want to do is mix your wet ingredients and dry ingredients separately. Substitute any sugar you usually add with honey, so add it to the wet ingredients, and you can add your almond + vanilla extracts to it as well. Mix the anise seeds in to the dry. Add about half of the dry mixture to the wet; mix thoroughly, then add the rest and make sure it’s all blended. Taste-test and add more honey/extracts if it’s not exactly to your taste. The extracts I use are kind of ancient, so I usually put in more because they’re not very strong – recipe modding is all up to your taste, of course! I ended up eating the rest without the extra honey, but don't you think it looks great for the picture? I'm getting better at this. Now, cook those pancakes: the anise seeds should dissolve a bit in the mixing/cooking process, so you probably won’t see many of them. The finished pancakes should taste quite a bit like taai taai cookies – sweet, with a deep licorice flavour and lighter almond tones. The texture’s not the same, but that’s probably for the best. 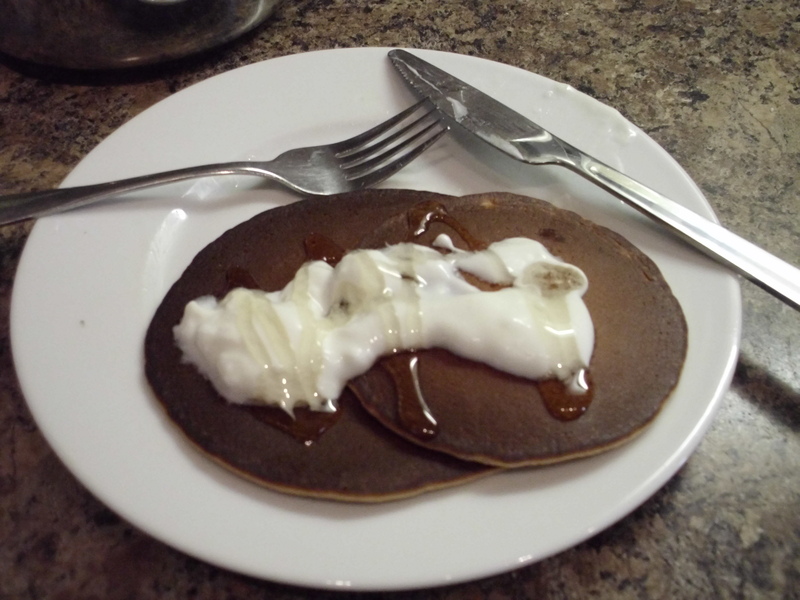 These pancakes are sweet enough to eat without syrup; I like to put plain yogurt on top for contrast.